Automotive pioneer Gottlieb Daimler attended technical school and apprenticed as a gunsmith, before deciding in about 1861 that there would be a market for a small, low-power engine. He briefly worked for Nikolaus Otto, inventor of the four-stroke internal-combustion engine, and worked for several years as manager of a manufacturing concern, Bruderhaus Maschinen-Fabrik, where he met his life-long friend and design assistant Wilhelm Maybach. Daimler and Maybach went into business together in 1882, and introduced the first high-speed internal combustion engine in 1883, which was made practical by Daimler's invention of the first reliable self-firing ignition system. In 1885 Daimler built the first motorcycle, installing an engine with workable controls on a two-wheeled vehicle which he called the reitwagen or a two-wheeled 'riding carriage'. In 1886 he installed a Daimler-Maybach engine on what had been a stagecoach, converting it into the first four-wheel automobile. In 1889 he built the first V-slanted two cylinder, four-stroke engine with mushroom-shaped valves. In the same year he and Maybach designed and built the first automobile not adapted from a carriage frame, with a four-speed transmission and reportedly maximum speed of 10 miles per hour. Daimler's early engines were also used in motorized boats, Zeppelins, and streetcars. Daimler and Maybach established the Daimler Motoren-Gesellschaft (Daimler Motor Company) in 1890, and almost immediately found themselves at odds with their company's primary investors. Maybach resigned in 1891 when he was denied a seat on the Board of Directors, and Daimler was squeezed out of his own company by 1893. The following year, again working with Maybach, Daimler built a four cylinder engine with Maybach's patented spray nozzle carburetor. This vehicle won the first organized "competition for vehicles without horses", called the Paris to Rouen 1894, defeating among other competitors the entry from Daimler Motor Company. This embarrassed the company enough to deflate its stock price, and British investor Fredrick Simms demanded Gottlieb Daimler's return as a condition of his investment. Daimler rejoined his company in 1894, and brought Maybach back as chief engineer. Decades after his 1900 death, the Daimler company merged with Karl Benz's Benz & Sons, becoming Daimler-Benz AG, best known for its prestigious Mercedes-Benz nameplate. Gottlieb Daimler was accepted into the Automotive Hall of Fame in 1978. Between 1993 and July 2008 Daimler had a stadium named after him in Stuttgart, Germany. The Gottlieb-Daimler-Stadion was the venue for six matches in the 2006 FIFA World Cup. It is now called Mercedes-Benz Arena. Gottlieb Daimler's motto was Das Beste oder nichts ("The best or nothing at all"; "Nothing but the best"). 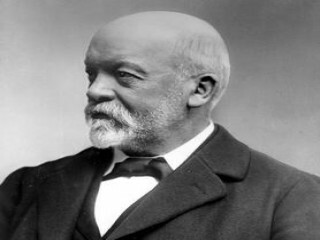 View the full website biography of Gottlieb Daimler.